Newest addition to the flight decks! Re: Newest addition to the flight decks! Thats a pretty nice setup you've got there! Thanks Chris. 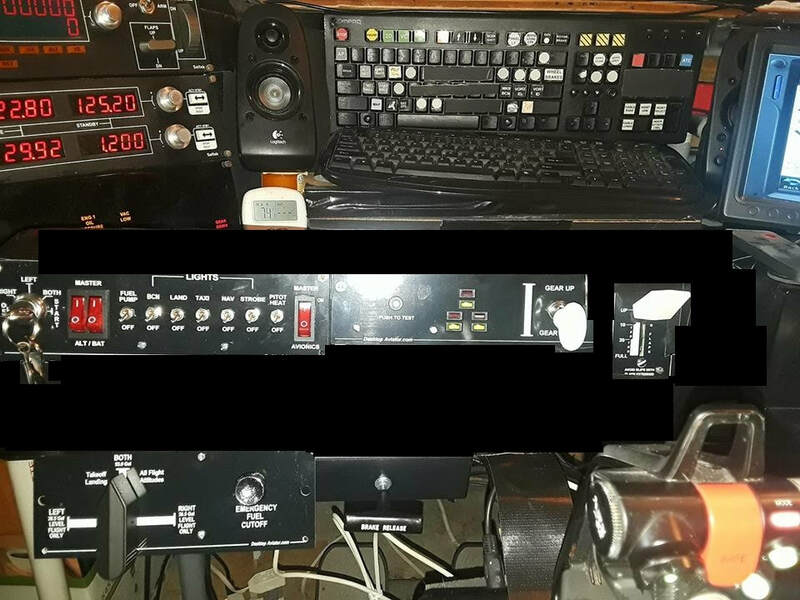 The top picture is the flight deck that I typically will do all my q400 flights on, the bottom picture is my main flight deck that I do the jets on. It's laid out for the 737-800 with the throttles and avionics, with the overhead panel to complement it. Fortunately my CFO (wife) graciously does not inhibit my flight time. That's a cool setup, my CFO would probably allow it but I doubt my bank manager would!